Every year the Young Company produce a new production for the Connections Festival, run by the National Theatre. Connections brings together ten brilliant writers with young people across the nation, from the highlands of Scotland to the far reaches of Cornwall, to develop/create ten short plays for young actors to perform. Around 200 youth companies will perform these 10 new plays in their home venues and regional festivals. 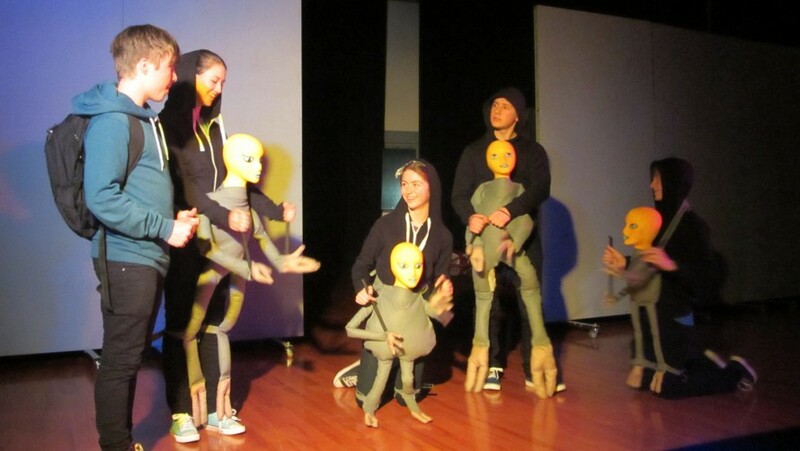 In 2013 the Young Company produced the Ailie and the Alien as our entry to the Connections festival. Ailie is a human and things have been going wrong for her for a while now. Finn is an alien who has crash landed on earth. When Finn take a shine to Allie things suddenly start going right in her life. But when Finn is summoned to return home everything begins to unravel.